Live webcasting is no longer the domain of large entertainment or sports events and the enterprise. As webstreaming equipment and services become more available and less expensive, the use of webcasting is growing among government agencies and small companies. It is a means for live events to be viewed by constituents, employees, or clients. Because “the production side is getting easier and easier,” webcasting is growing, says Steve Ellis, the president and CEO of Broadcast Pix, which produces live video production systems. And the costs of the equipment and cameras are now affordable, he says. In addition, the U.S. government is supporting the use of webcasting by local governments in the form of a pilot program that involves a cable provider and six communities in just as many states. The Federal Communications Commission and Comcast are sponsoring Project Open Voice, which seeks to determine if using public, educational, and government (PEG) channels to stream programming will “address the questions of diverse demand for local content in different communities and the variety of ways to deliver it,” according to the website. The six communities participating in Project Open Voice are Peterborough, N.H.; Medford, Mass. ; Philadelphia; Hialeah, Fla.; Houston; and Fresno, Calif.; and they are working with providers, community leaders, nonprofits, and independent producers to develop online and on-demand platforms for all of the project’s partners to use freely, according to the FCC. Project Open Voice places emphasis on local programming, says Gretjen Clausing, the executive director of PhillyCAM, a public access channel that is part of the pilot project. Project Open Voice enables organizations such as PhillyCAM to have its own channel through the POV website, and the public access group “saw it as another opportunity and platform” for locally produced content to be viewed, she says. Of course, most producers engaged in webcasting aren’t transmitting enough content to qualify for their “own channel[s].” Rather, they are transmitting content that might last a few hours at extremely low budgets, according to corporate officials whose businesses provide services that help town, village, and school boards, as well as small companies, conduct webcasting and reduce the worries involved. However, those who are interested in webcasting need to understand what it is and what it is not, says David Glassman, senior vice president and chief marketing officer for Onstream Media, which provides streaming services. Webcasting being confused with a web conference or a webinar is common, Glassman adds. “People don’t understand those distinctions, and that is an important distinction because those functions have different logistical requirements depending on what you’re looking to accomplish,” he says. Webcasting, or webstreaming, is usually a large-scale event with set start and end times. It is streamed with live audio and video; has a set agenda and registration; is moderated or controlled; can attract thousands of attendees; has customized branding; is highly scalable; has extensive reporting and post-event analytics; and features social medial integration, according to Onstream. Web conferencing typically has a small number of viewers; is collaborative; has no or limited branding; has limited scalability and post-event functionality; is conference-centric; and usually features two-way audio and video. Webinars are planned, self-service events; can accommodate hundreds of viewers; have two-way audio and video; feature branding options; provide extensive reporting and analytics; and offer social media integration, according to Onstream. 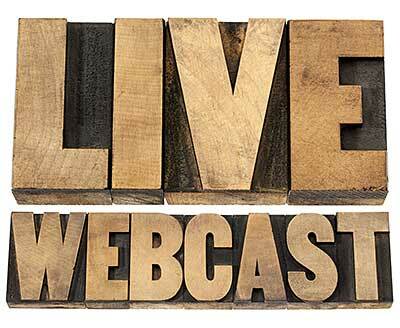 Now that we’ve distinguished what a webcast is, the focus shifts to how it is achieved. That starts with preproduction preparation, say providers of products that help support webcasting. 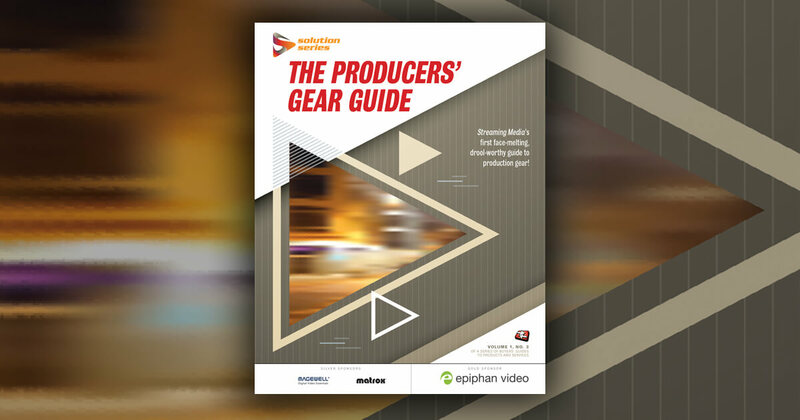 All the providers of such products say preproduction is the key to a successful webcast. Setting the transmission line of the webcast is the first step, says Corey Behnke, head of global production and services for Livestream, which offers hardware and software tools that support webstreaming. In most cases the webcast is going to be over the internet, despite the existence of alternatives; therefore, in order to avoid problems when transmitting a webcast over the internet, it is important that a dedicated line be used for a webcast and not a line that is being shared with another organization, according to Behnke. In addition, when Livestream is conducting the webcast for a client, there are some computer ports that the webcasting organization needs to have open, he says. Those are Port 80, Port 1935, Port 443, and Port 53. Once those ports are secured, those conducting the webcast need to plug the line into a laptop—they will want to use hard line Ethernet—and when the connection is made to the Ethernet line, users might have device programming and configuration at their command, which means the system will automatically access the internet, he says. Such a speed test is only the beginning of the tests needed to ensure that a webcast goes smoothly. Alden Fertig, a product marketing manager and an expert webstreamer for Ustream, which provides a cloud platform that can be used for webcasting, says those wanting to conduct a webcast need to “test, test, test” either at the venue or in a substitute location. “It’s best if you can set up in the actual venue and test your equipment there, if you can get there several hours before the production or even the day before, the earlier the better,” Fertig says. “But if you can’t, the next best thing is to set up the equipment at an office and test it, and then travel to the venue and test whatever can be tested at the venue,” he says. David Thompson, senior vice president of marketing for Ustream, says he has a theater background, so his version of “test, test, test” is “rehearse, rehearse, rehearse.” That means checking out the internet connection, as well as the audio and the staging of the room well before the webcast. In addition, for those who have never worked on a production for broadcast, that also means “learn, learn, learn,” he adds. Ustream will help a webcast producer learn and then rehearse the production, Thompson says. But before that service is provided, Ustream asks the client, “What are your goals?” and “Who is your audience?” Those questions are asked because the producer’s goals, as well as the audience being sought, are what determine the levels of production that will be invested in the project, he says. That will determine how “buttoned down” the producers want the webcast to be in terms of how the broadcast looks, he says. Customization, mobile compatibility, and marketing features are just a few of the checkboxes to tick off.